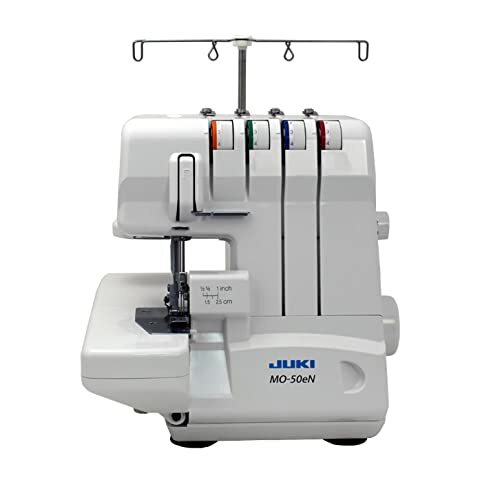 Juki MO-50E 3/4 Thread Serger Review - Is This Product Worth It? Tired of searching for an advanced serger at an affordable price? Find it tedious to test various machines just to find the perfect one? Look no more; we’ve got the right pick for you! Juki Corporation is a Japanese Manufacturer of industrial sewing machines. 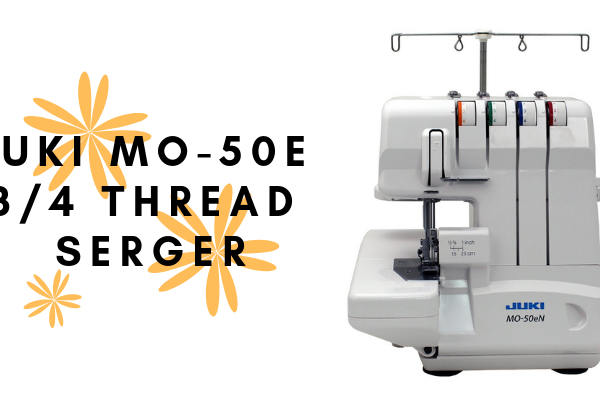 They introduced the Juki MO-50E 3/4 Thread Serger for those looking for an advanced machine. You can take a look at the quality of this machine by the positive feedback it receives. In fact, the feedback clearly shows you the worth of this machine. This machine provides the user with a professional finish especially when you are cutting the off-seam or are overcasting edges. This machine is undoubtedly one of the best overlocking machines. This is primarily because it gives the cleanest finish to all your sewing works and masterpieces. Keep on reading to know about the general features of this machine as well as its pros and cons. 6 Where To Buy Juki MO-50E? Juki is famous as one of the best sewing machine making company in the world. It is also one of the best industrial making companies. 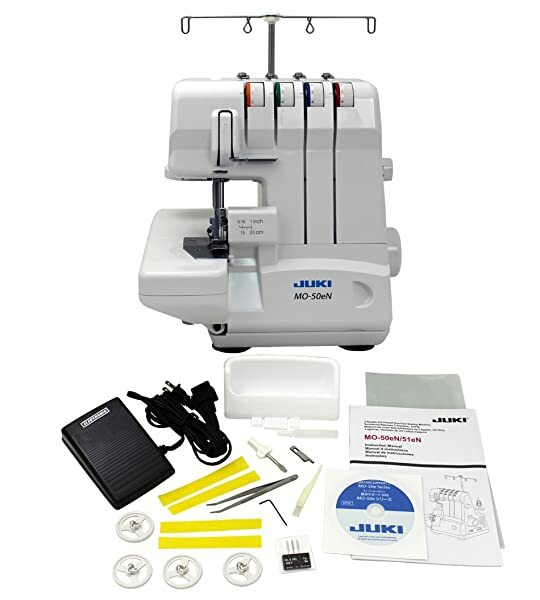 Juki has been making sewing an easy task with their incredibly easy to use machines on beginners as well as professional level since the year 1938. This machine is no doubt present in households all around the world. With their high experience in making sewing machines, Juki knows what the users want. Their company is well versed in the sewing process from the start to the end. Moreover, their products receive the best kind of reviews that make them very popular. Also their customer service is exceptional, and they answer any kind of problem that is bothering users. This Japanese company pays incredible attention to details, and Juki MO-50E is no different. Let’s focus on the specification of this machine before talking about the features of this machine. 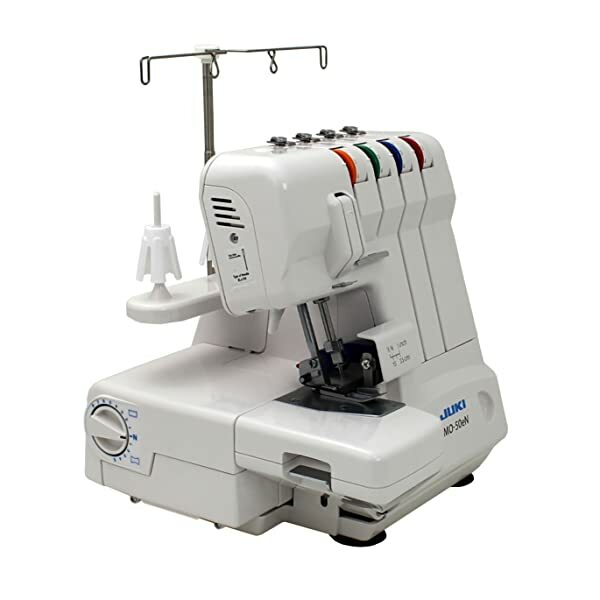 Juki MO-50E Thread Serger provides the user with the ability to produce flawless and perfect seams making use of the best features present. This machine comes with features you can only find in high-end sewing devices. It is equipped with features like rolled hemming, differential feed, and adjustable stitch length. The differential feed on this machine helps in preventing the fabric from being too stretched or pulled out of shape. This feature works by changing the tightness of the fabric while it is being stitched. This allows for better and more versatility on materials that have different levels of thickness. The built-in rolled hem featuring on this Juki machine provides all your projects with a very sleek and professional finish. The hemmer rolls the sewing fabric over itself and hides all its edges. This feature present on the machine makes threading incredibly easy. This is an ideal feature for users who are still new to sergers. It allows new users to simply push a button and make the thread go to and fro the lopper automatically. This automatic process helps in saving time when you are operating it or setting the machine up. The knife is adjusted and calibrated to make sure that the cutting consistency is maintained throughout the serging task. This calibration also makes sure that every sewing project is clean and uninformed on every project. Since the serger’s upper knife can be moved, you get additional safety on this machine. Juki MO-50E has the ability to operate at a maximum speed of around 1300 stitches in a minute. This makes this machine easy, efficient and quick in completing even the most difficult serging tasks. Both the stitch length on this machine and the lower knife are adjustable. The length of the stitch on this machine can be easily adjusted from 1 to 4 millimeters. This can be done easily by simply rotating the dial present on the right side of the machine. Moreover, the lower knife present on this machine can also be attuned to change the entire width of the fabric piece for rolled edges. 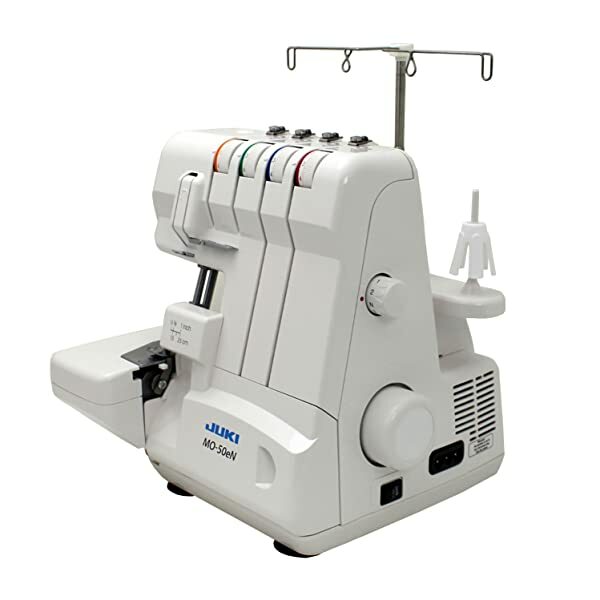 Juki MO-50E is a very affordable machine as compared to other sergers with similar features. This machine provides the users with professional sewing quality which is a distinctive quality of Juki and is 100% reliable. This machine delivers the user with consistent stitching quality, is extremely efficient, and also very easy to use. 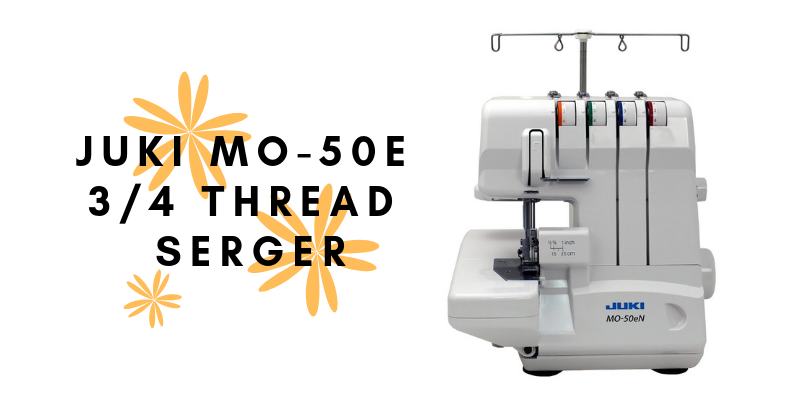 Moreover, MO-50E comes with many different features that are only present on sergers that are very expensive. These features include adjustment of the calibrated knife, automatic lower looper threading, differential feed, and even built-in hemming. Also, the weight of this machine is what attracts many people. 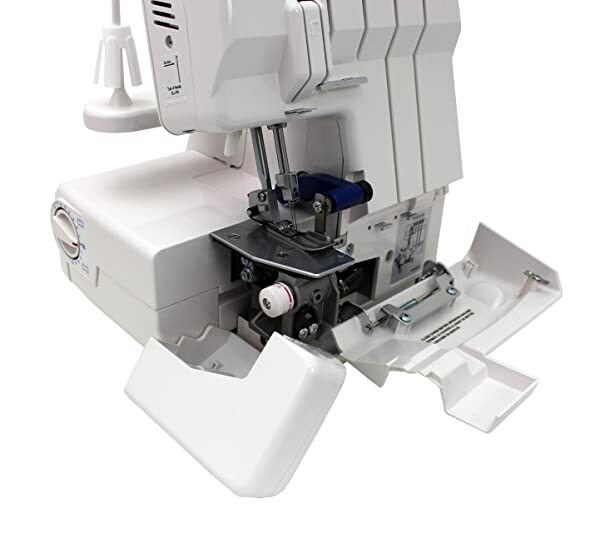 Unlike other serger machines, this machine is very lightweight. However, even with the low weight, this machine is still very powerful. This feature makes Juki ideal for transporting from one place to another without any problem. It allows you to carry out home projects as well as professional projects. 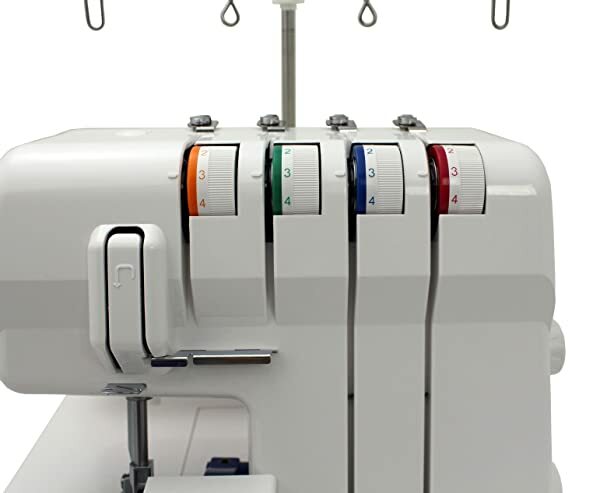 Serger provides the user with a lot of room to experiment on different fabrics. This machine comes with different stitch functions. It also features adjustable and movable parts such as the stitch length and the upper and lower knife. However, this machine is not ideal for beginners who have no experience of the basic operation with serging. They may have difficulty using this machine. With such problems, they can come across loose threads and threads coming out of the loop. Similarly, you will also have to deal with fabrics with loose hems. Juki provides their machines with a five-year warranty. This five-year warranty is present on the mechanical parts of the machine. Meanwhile, the electronic parts have a two-year warranty, and there is a 90-day warranty on any defects present in the manufacturing of the machine. The mechanical and electronic warranty of this machine only covers an error on Juki’s part or by normal wear and tear. If you have abused or misused the machine, then this warranty will not be valid. Also, you will be responsible for charges of labor but not for the replacement of parts. Where To Buy Juki MO-50E? Juki is a very popular brand and is easily found in many stores all across the internet. You can grab this machine from Sew Vac Direct, Sewing Machine Plus as well as Amazon. Alternatively, you can find it in local stores as well. Juki MO-50E is no doubt a very versatile serging machine. It is a very helpful product for beginners as well as professional and experienced users. This machine has reasonable pricing which makes it a very promising machine. Also, with Juki MO-50E, you get all necessary features you will need. If you’re looking for a sturdy and durable machine for your household, then this machine is the one for you.